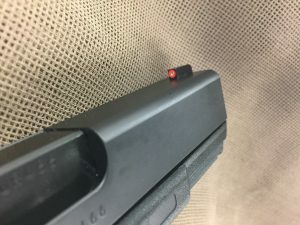 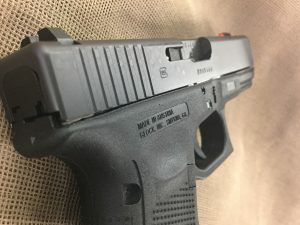 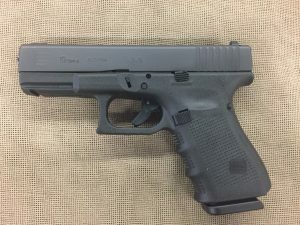 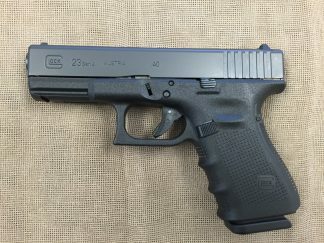 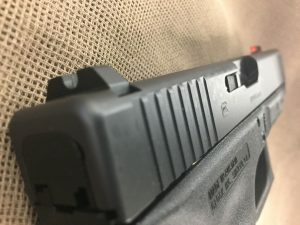 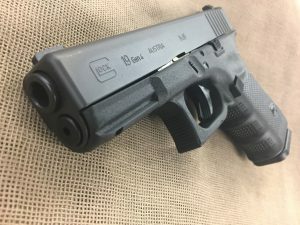 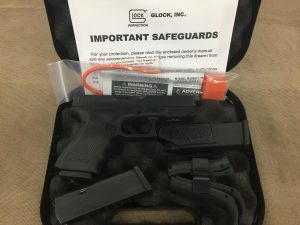 New Glock 19 Gen4 9mm auto TALO edition night sight. 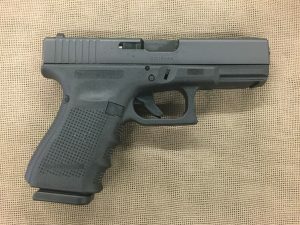 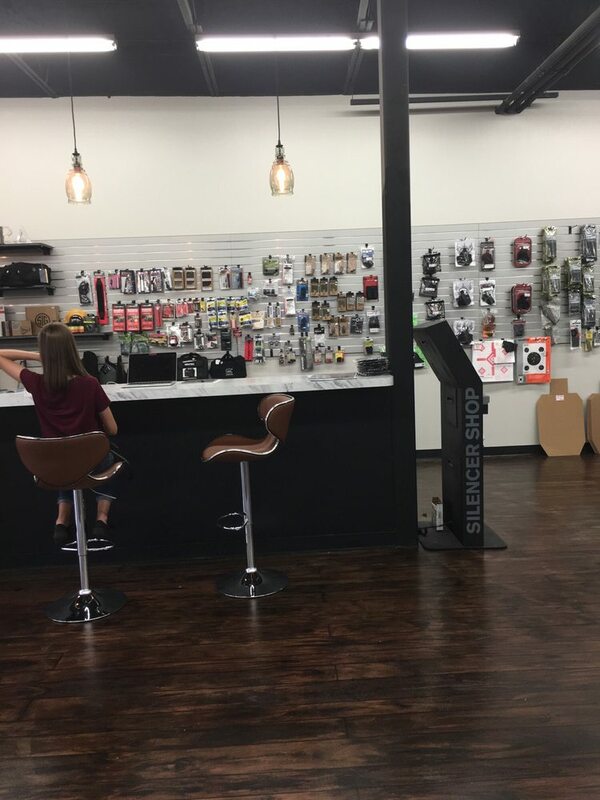 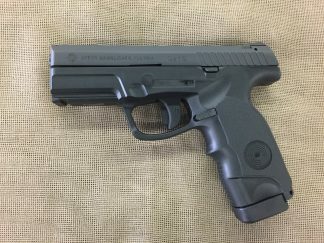 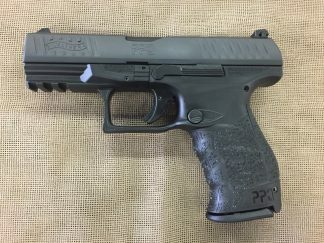 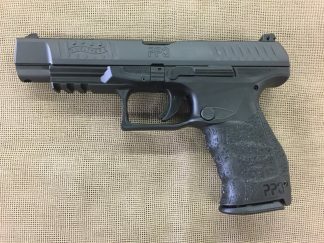 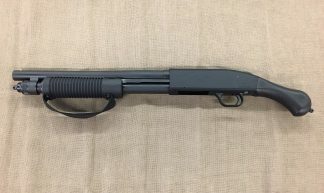 15+1 capacity, three magazines, 4″ barrel, blacked out steel rear sight with orange large dot (by day) and green tritium (by night) front sight, accessory rail, dual recoil spring system, configurable grip system, 23.7 oz. A nice upgrade to the standard 19 for $10 more.